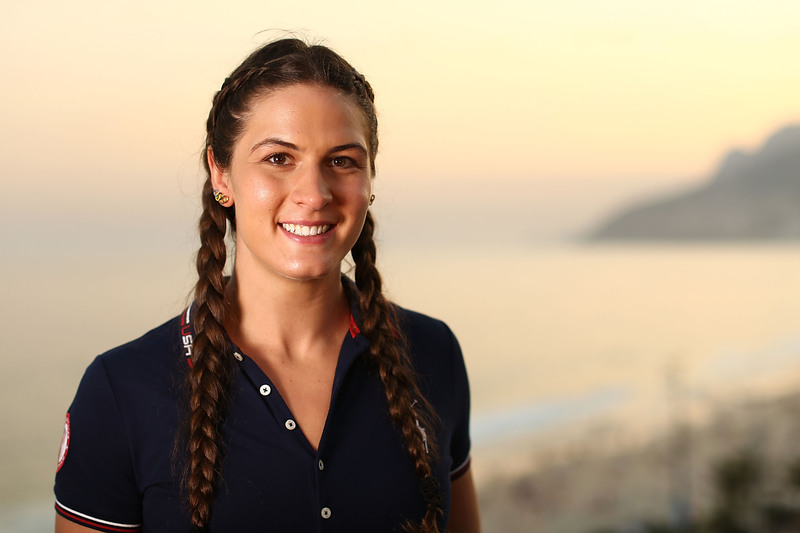 Team USA wrestler and medal hopeful Adeline Gray is shattering sexist stereotypes one by one. She showed the haters that wrestling definitely isn't just a guys' sport, and that there's no such thing as being too pretty to wrestle. Now, the three-time world champion is proving that women are each other's biggest supporters by cheering on her American teammates — Gray has given shout-outs on her social media accounts to many of Team USA's female superstars, including Simone Biles, Kayla Harrison, and Claressa Shields. Gray's support for her fellow female athletes demonstrates an awareness of both the practicality and sentimentality of overcoming female athletes' struggles. Women's sports, and women in sports, need as much positive attention as they can get — if this Olympics has proved anything, it's that there's still a long way to go before there's true equity in the way men's and women's sports are approached. There's also something incredibly special about women who have fought against sexism in the world of elite sports supporting one another. They know the challenges they've faced uniquely and intimately, and seeing them cheer each other on instead of tear each other down is inspiring for everyone to see. Gray's traditionally male-dominated sport is one of the reasons she's so acutely attuned to the sexism she and other female athletes face. Women's wrestling wasn't even added to the Olympics until the 2004 games, but the culture of the boys' club sport took longer to change. Gray has faced sexism throughout her entire career, beginning in high school when she felt disrespected by her teammates and some competitors chose to forfeit matches rather than fight a girl. For Gray, the future of women's wrestling means building professional outlets for young women who fall in love with combat sports. "It's easy for boys to just pick a mainstream sport that we associate with strength and power and think about a future in the NFL or the NBA," Gray told Fortune in an interview. "But with women's sports, there's still this challenge of what do you do with your goals beyond four years of college sports." Even after her own incredible career, which could continue for many years to come, she still has trouble securing the money she needs to keep training. "Sponsors are getting excited about me now, and that's awesome, but we still struggle with funding," Gray said told Fortune. But as focused as Gray is on her own sport and career, she seems to understand how important it is to be vocally supportive of her female teammates. Female athletes standing up for each other is one of the most inspiring things to come out of the Rio games, and Gray is leading the charge for a Team USA that's united against sexism.